Perhaps it’s no surprise that Gareth Davies came to play such a pivotal role in helping Papa John’s franchisees thrive and the American pizza giant reach consumers across western Europe. 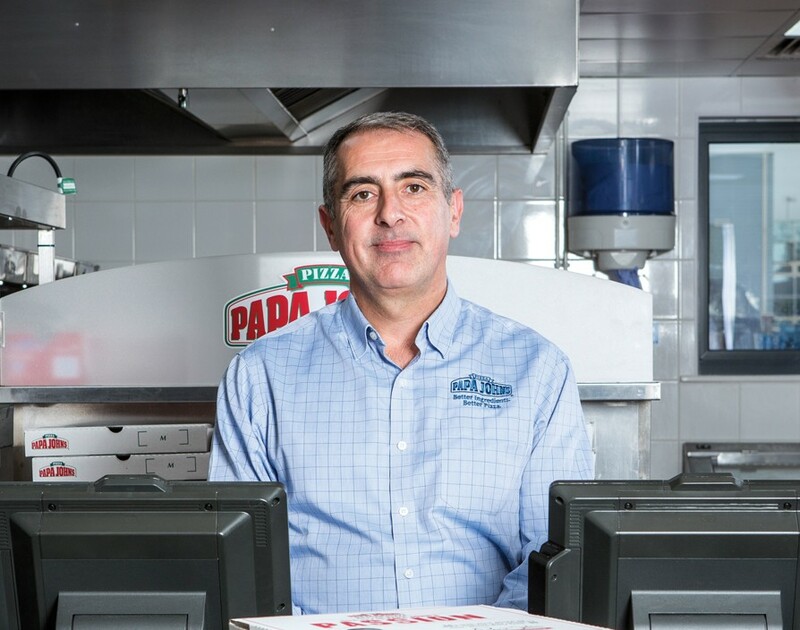 After all, having worked in kitchens since he was a teenager and having spent decades helping rising brands firm up their franchising, Davies is one of Britain’s true pizza pros and the perfect man to help spread ‘Papa’ John Schnatter’s franchise even further. Born in Leamington Spa, Davies spent much of his young life moving from place to place because of his father’s catering career, something he feels gave him a good grounding in the entrepreneurial mindset. “Obviously moving around and changing schools on a regular basis gives you the opportunity to learn to be flexible and adaptable in different circumstances,” he says. However, this doesn’t mean that Davies wasn’t raised with a consistent work ethic: from around the age of ten, he worked back of house in his parents’ restaurant, making him Britain’s youngest kitchen porter at the time. But while his father was a fantastic chef, Davies learnt as much from his failures as his successes: Davies senior struggled to systematise the business, ultimately leading to the company folding. And this is a lesson that Davies makes sure he imparts to franchisees to this day by helping them access robust systems. As luck would have it though, a new opportunity presented itself. While developing Pizza Hut’s food-court offering, Davies had worked alongside Jack Swaysland, who had gone on to become the ops director of Papa John’s. Given Davies’s past relationship with Swaysland and his work turning round its former acquisition, joining the brand was a no brainer. “So nine years ago I made the move across to Papa John’s,” he says.